There are three types of people in the world, those who don't know what's happening, those who wonder what's happening and those on the streets that make things happen. « No War is Holy! Before putting away the towels for wash think of the large amounts of detergents that go into washing them and the millions of such pollutants entering our waters. 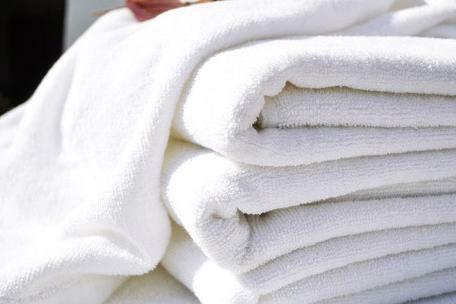 Millions of liters of water are used daily in washing bath towels. Put the towels away for wash only if you think they need one. Help conserve water. I find the above two statements beautiful examples of using behavioral science in putting across messages that are effective. In Mauritius, there is water aplenty. It is not the scarcity of water that concerns people, but the pollution of this natural resource that they hold dear. In India, the depleting water levels are a major worry and wastage of water connects better with the locals. Pollution is secondary because no matter how the water is, we can somehow clean it. The primary focus is the presence of water. A Marketing Manager would normally duplicate messages across different geographical regions. A Real Marketing Manager would study such underlying differences and tweak the message accordingly. I guess that’s the difference between Good and Great! This entry was posted on December 20, 2013 at 12:13 PM	and is filed under Management Consulting, Travel. Tagged: Environment, Human Behavior, life, marketing, Mauritius, travel, Water. You can follow any responses to this entry through the RSS 2.0 feed. You can leave a response, or trackback from your own site. I concur! When we were in Montréal recently, the only time I ever left my towels in the bathtub (to be washed) was upon checkout. Yes, we could’ve received fresh towels everyday, but there’s no need for it! Raunak: good message. Behavioural marketing is powerful, if used with other systematic shifts and messaging. Hope you are enjoying your holiday. You deserve it. John, thanks! Absolutely loving it here. Right on. So many great firms have been humbled when they moved out of their domestic markets thinking no change was necessary in their offering.